Every day, everywhere, Mastercard use their technology and expertise to make payments safe, simple, and smart. As a well-known global brand, Mastercard understands that brand awareness, when done successfully, can lead to a positive emotional connection between a shopper and a brand’s values. Mastercard knows the importance of consistently promoting their brand to maintain customer loyalty, and appeal to new potential customers. Mastercard wanted to reach customers with a video message that promoted the ease of using Mastercard for online purchases, as well as highlight the availability of their contactless payment feature in Italy. Contactless payment allows shoppers to quickly use their credit or debit card to pay for items without having to swipe or insert the card into a reader, using radio waves emitted from the chip in the card. Mastercard had two brand messages they wanted to convey to consumers. 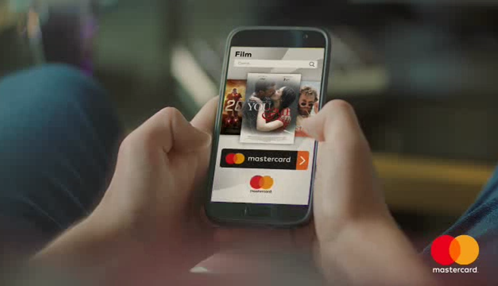 Mastercard was able to deliver both messages to consumers by leveraging the story-telling medium of video. Through in-stream video ads embedded within premium content, Mastercard communicated their focus of shopping online, and how they are making consumers lives easier through innovations like contactless payment options. Mastercard reached over two million Amazon shoppers across the web for the Italian campaign by using the Amazon DSP (formerly Amazon Advertising Platform, or AAP) to run in-stream video ads across the Internet. To prove campaign effectiveness, Amazon ran a Digital Brand Effect brand lift study by Nielsen. The brand lift impact of the campaign was proven by higher observed completion rates and higher intent to use Mastercard for the customers exposed to the video creative. Frequency played an important role in driving consumer intent. Mastercard observed that higher ad frequencies resulted in an uplift in brand study results. Viewers exposed to the campaign with a frequency of 3 or more had a 22.4% uplift in intent to use Mastercard vs the campaign average of 8.6%. “This was the first time Mastercard had utilized [Amazon DSP] to run a video campaign, and we were excited to leverage Amazon’s first-party audience segments. Video marketing is the most effective way to capture people’s attention and invite them to consider your message. With the effectiveness of their solutions, [Amazon DSP] helped us communicate [our] message and connect with viewers. Connect with your Amazon Advertising account executive or contact us to learn more about how Amazon’s video ads can promote your brand.